Hands, Head and Heart: Frisky Felines and Playful Pups Hop! 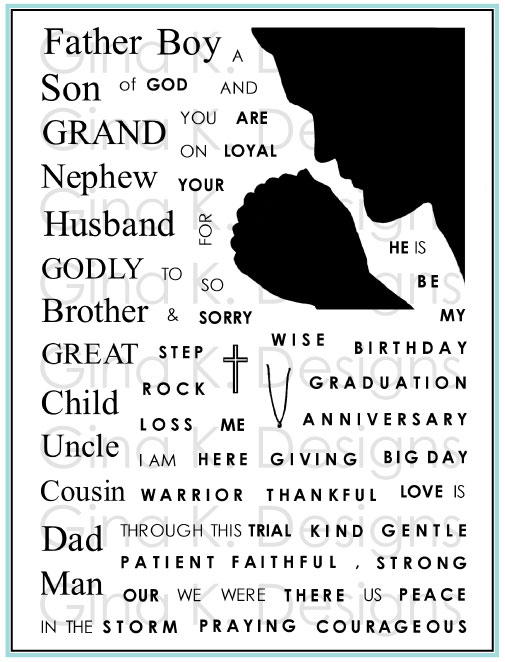 Aww love that you combined the 2 stamps to create the last card. Adorable. That last card is just adorable. And love how you colored the rot. I love all of the cards you made. 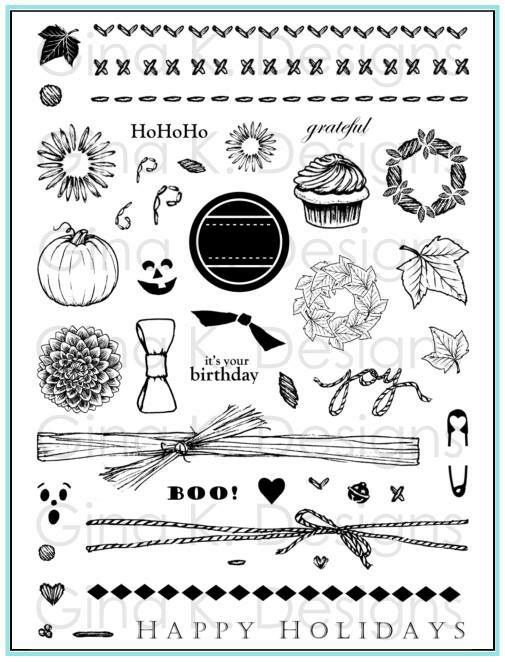 So cute are these stamps. I am glad I own them. Melanie, I couldn't wait to check out your cards and you sure did not disappoint. I love how you combined the sets too! I love both of your cards. Have a beautiful day. Such very cute cards. 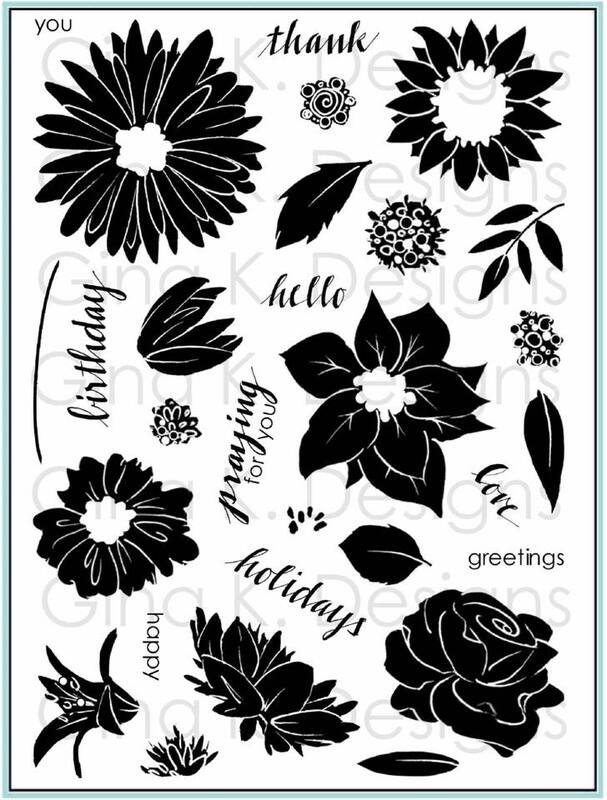 These stamp & die sets are great. Wow..I wish I could color/blend like you. These are great cards. Thanks for sharing. I love the cat peeking out behind the focal image and will CASE that idea. Thanks. Also very clever to put a cat kneading a dog. Fun cards. Love these cards! Using the mosaic set with the dogs is such a great idea. I love the cat peeking out. Then combining the sets made an awesome card. So much fun in these cards! Oh! I love the card with the cat peeking out from behind the layer! So cute! And the other cards are adorable too. 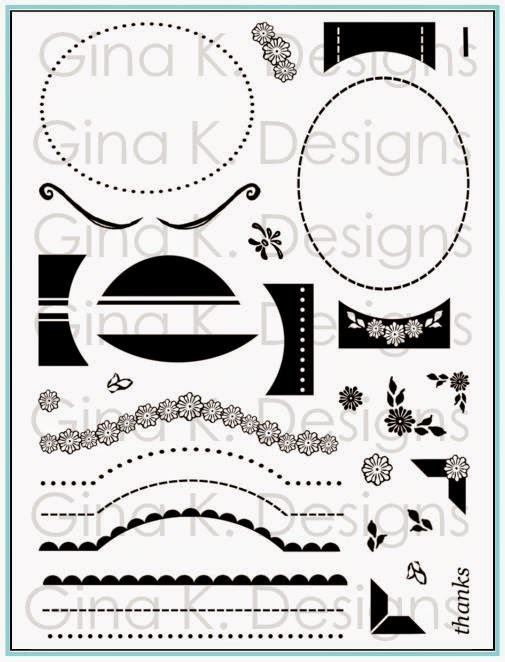 Loving these stamps sets & dies! Oh my, I love seeing your work. I like how you used soo many other supplies in your cards. Can't wait for my puppy set to arrive. Precious cards! Love the peeking kitty. Thanks for sharing. Love your work!! Big fan!! That’s the sweetest puppy ever, love how you colored him! They just so cute. Thanks for sharing. Am I the only one who saw Tom from Tom and Jerry on the first card?? I love it! 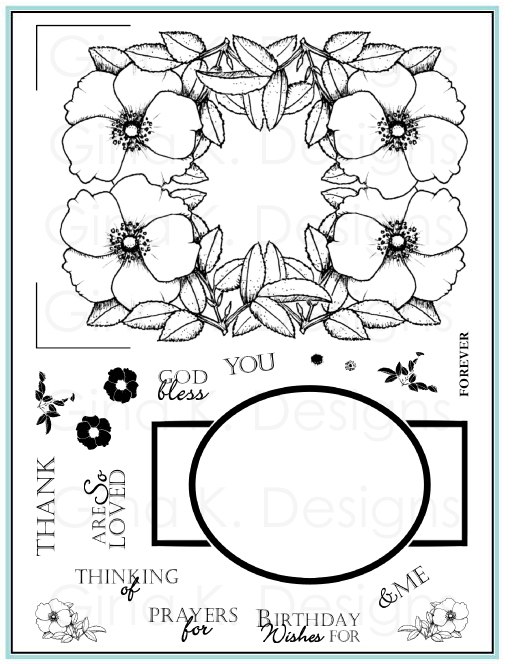 And I love the inspiration mosaic card...that’s a favorite layout of mine! Growing up we had both cats and dogs so I liked seeing them together in the last card! All three cards are just adorable. Your frames are perfect for highlighting this darling critters! Melanie your cards are so adorable! Darling cards. I love how the cats and dogs work with your frame sets. The paw prints make great backgrounds and borders. 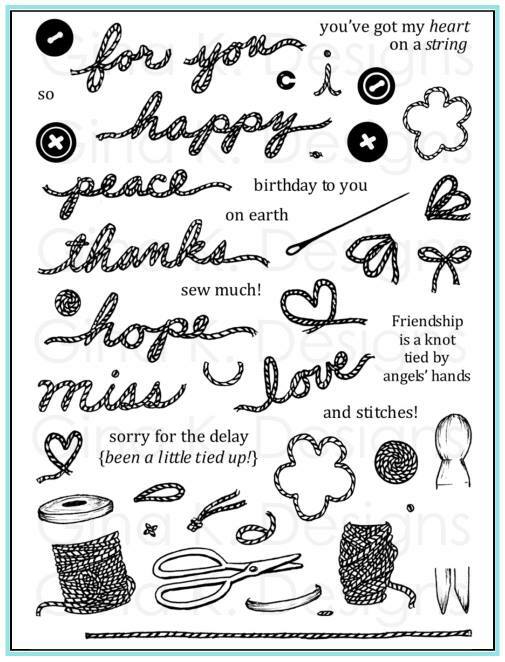 Adorable last card and a good way to encourage us to use the stamp sets differently. The others are great too. Love these cards, especially the cat Kneading the pups belly, cute play on the words too. Your cat peeking out behind the panel looks so much like my Mischief. Yes she lives up to her name. 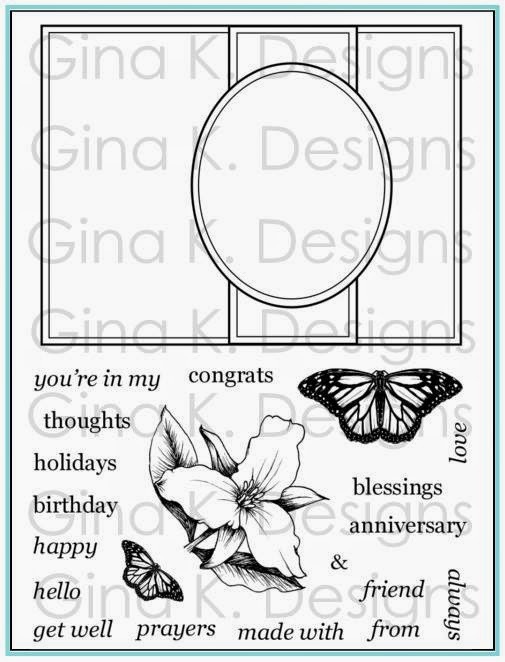 The frame you used on card #2 is one I use a lot. There is so much you can do with it. The belly rub pup is my favorite of the set. Using both cat & dog on the Valentine card was a great choice. Cute. Your cards are stunning. I am always wowed by your work!! Fantastic cards! I love the way you used the other stamp sets to set off the puppies and kittens. I really like all your cards but that 3rd one is my favorite, what a totally cute idea. I love that cat peeking from the back in the first card. So creative. The two dogs card, I love that style. And how clever to combine the two images in the third csrd. Love your cards. Thanks for sharing and inspiring us. These are so creative and adorable. The peeking kitty is such a cute touch. And the cat and dog combos are great. Melanie, such great cards. I love using the frame sets for these images. Fantastic inspiration. I always love to learn new ways to stretch what I have. The pink card is adorable with the kitty peeking around the corner. The stamp sets are both so cute. Love your cards, especially the one with the little cat peeking out - so typical! All of your cards are just way too super adorable!!! Love the coloring, the kitty is My fave. Nice job! 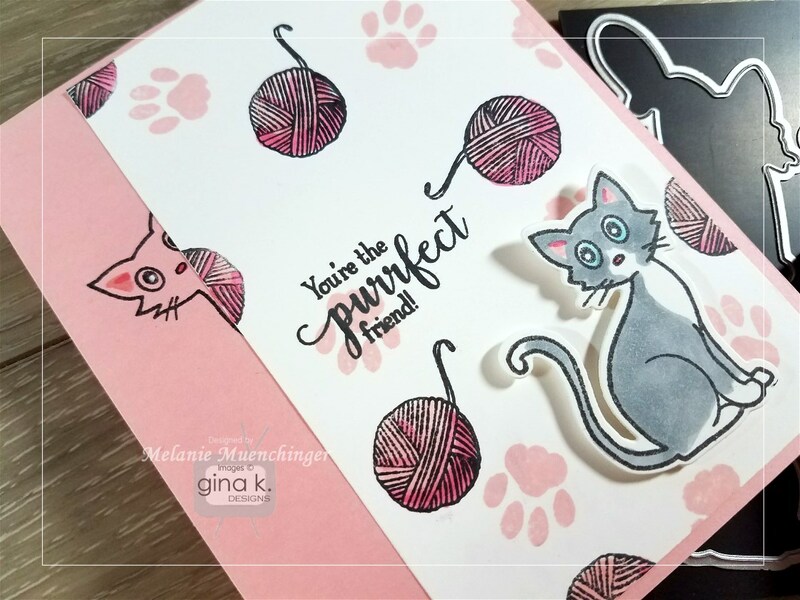 Fabulous cards you created with these cute cat and dog sets. Great cards! Especially like the one with both the dog and cat! Your cards are adorable, I love the cat peeking out from the side. I also love the one you made with the cat and dog together. Very cute cards. You are so talented!!! Such a cute set. Love them. OMG, I LOVE your cards. Especially the first one you have posted!! You've really spoilt us with three amazing cards, your colouring skills are fantastic, I'd love to get to your standard. 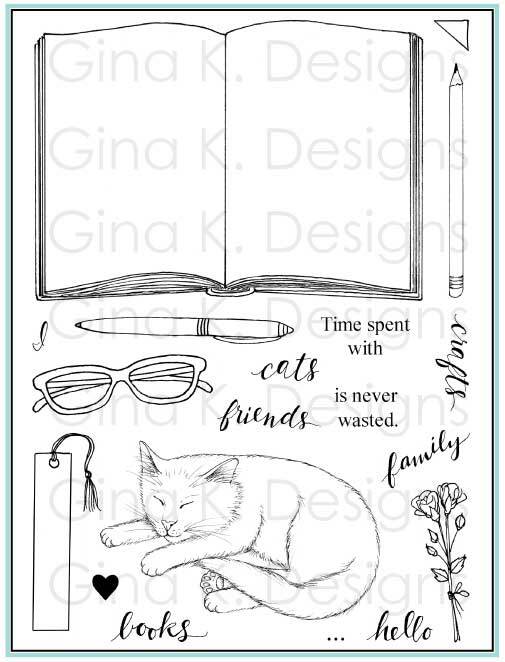 Fun cards; love the peeking kitty. As always Melanie I love your cardss. Haha-love the kitty on top of the pup! I was able to comment no problem from Chrome - I love the cards - especially the one of the cat standing on the dog! OMG! HA HA! Oh my...I do love your cards! That cat peaking out is just to cute, but then love the dogs...cause I adore dogs, and that cat standing ON the dog just makes me chuckle! LOVE them all!! Oh my gosh, your cards are so stinkin' CUTE. 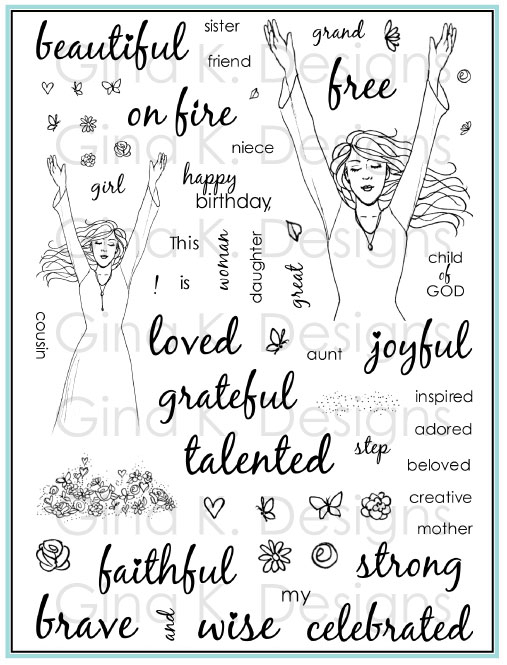 They just make me smile, you have really brought those stamps to life!!! Thanks for the great inspiration, once again!!! Such wonderful cards. I especially like the one with the cat and the dog. So cute! Adorable cards. I love the cat peeking out on the first one! I always look forward to seeing your creations, you never disappoint. OMG! I am truly at a loss as to which card I like best! 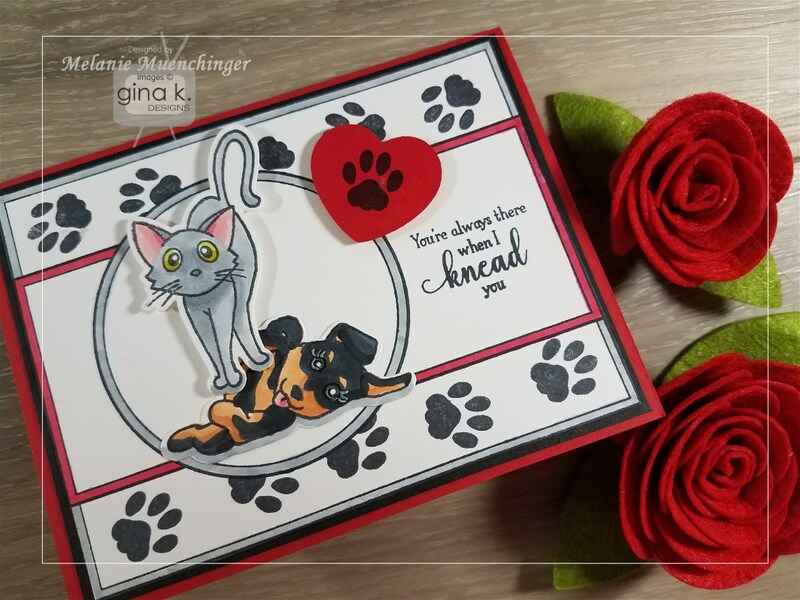 The very first thing I noticed on your first card was, of course, the kitty peeking out from behind the paper....and the dog card was beautifully done as well....but the ktty kneading the pup waiting for belly rubs is just so spot on!!! 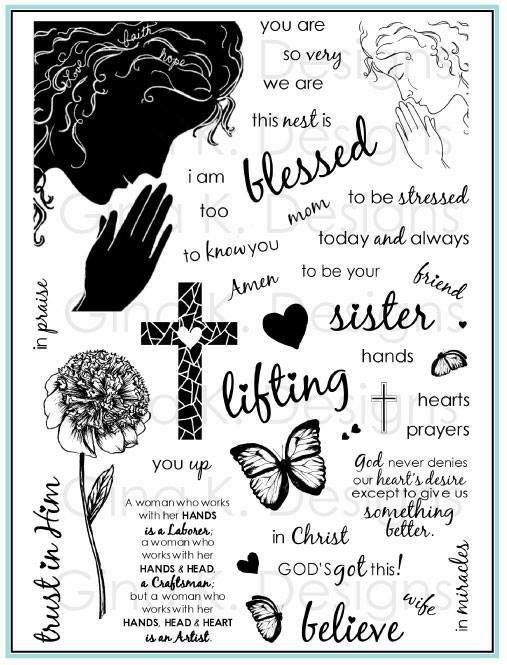 Wonderful cards, each & every one! Great cards Love the third one especially! Cute! Love the peeking cat and your scattered dog bones. 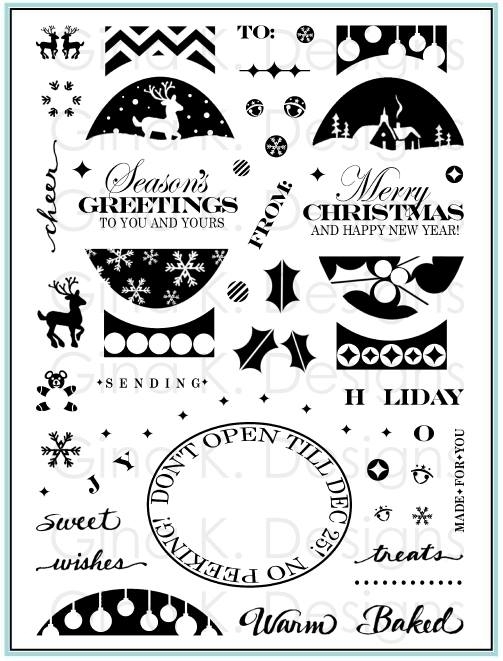 Wonderful use of the stamps sets! I love your creativity. Just great cards Melanie! I love that peeping cat! So many wonderful images! Your cards are great! I especially love the two tone coloring on the pup! cute cards!! Love the cat peeking out!! Great sets for pet lovers. Awesome cards. Thanks! Love your cards! 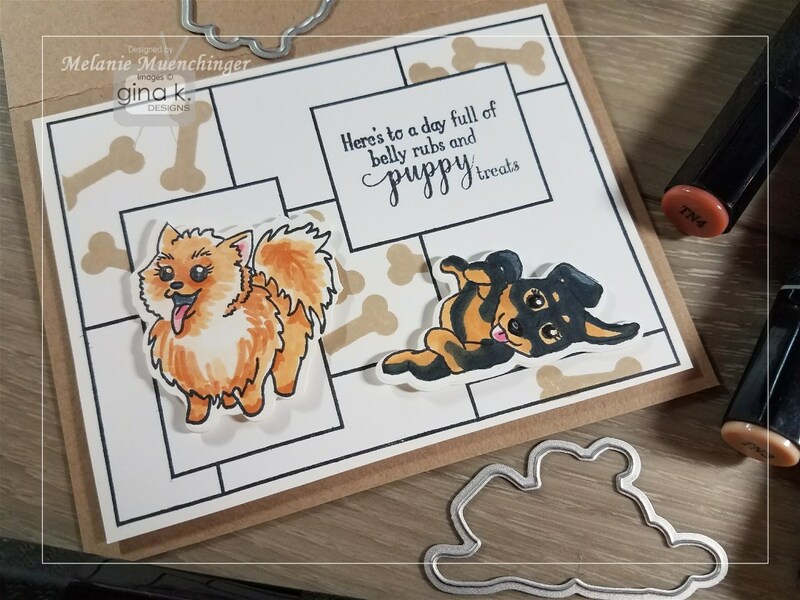 Very creative third card using the kitty and puppy stamps together! Cute cards! Love the designs. I laughed when I saw your 3rd card....the cat standing on top of the dog kneading him! LOL Love! Very creative cards! I love the little cat. What adorable cards! I really love the last one with the cat kneading the dog. That is hilarious. Hahaha, oh, you caught the playfulness in these dogs and the cat. I love it. But the cat on the dog is awesome. Gorgeous cards. All the cards are adorable but I love the first one with the cat peaking around the topper! Cards are great, but the playful pups made me laugh! 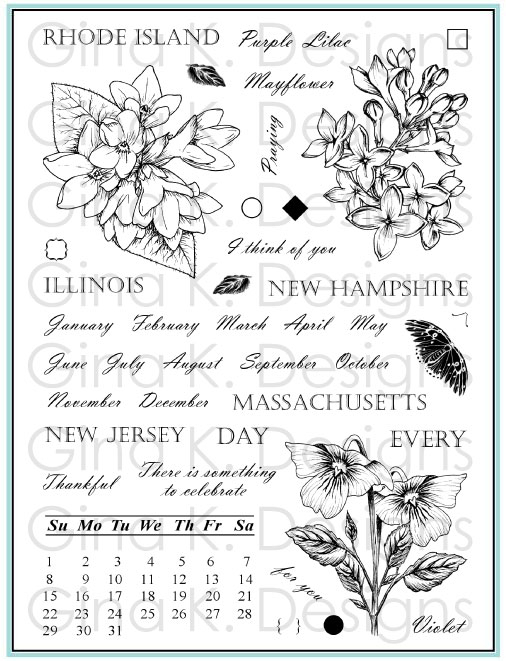 Love your cards & the stamp sets! I don't know which I like more... the kitty peeking out the side or the one kneeding pups tummy... tooo cute!! Hi Melanie! Thanks for sharing your cards! I love the last card with the cat standing on top of the dog. It reminds me so much of my dog and my cat's relationship. lololol I used to sit on my brother like that when I was little too! Love it! All your cards are great, love how you used both sets on the last card! Your cards are so cute and creative! Love the cat on the dog, brilliant! Youre so talented! I just love dogs and cats, so these cards make my heart sing! Thank you for sharing! Awwwww, Melanie, all 3 cards are great. I like seeing how you incorporated the frame stamps, too. Love the cards and loving the frame stamps too!!! Now I really need to win the prize!!!! LOL! I love the expressions on the cats faces! I love the peek a boo kitty too! Who doesn't love pet cards, so cute!